Lightfoot Electrical is on hand 24/7 to respond to any of your electrical needs. Our electrical contractors Granbury are fully equipped to handle everything from new constructions to residential repairs and seasonal maintenance. We pride ourselves on being able to respond to any electrical problems quickly and efficiently. We fix electrical outlets, electrical panels and so much more. Our customers always come first, which is why we ensure that you only deal with experienced licensed Granbury electricians that will be able to get the job done right the first time. We offer the full range of electrical services for both commercial and residential customers. If you need a qualified electricians to handle everything from repairs, remodels, maintenance or new constructions, we can help. Our electrical contractorshave decades of experience and can handle any electrical requirements at every level. Whether you need a commercial electrician or residential electrician for the job, we can send someone over to get the job done quickly and efficiently. Is it time for an electrical panel or lighting upgrade? Often our customers don’t realize just how much money they are wasting by using outdated and unreliable equipment. Luckily, we can send over a licensed electrician to upgrade or replace your equipment for greater electricity savings. You don’t want to leave your business running with unreliable and inefficient electrical panels. These can easily become overloaded with even a minor increase in energy consumption and electronic consumer use. The last thing you want is to end up with outages that lead to costly downtime. Give us a call and we can set up an appointment to provide essential upgrades. 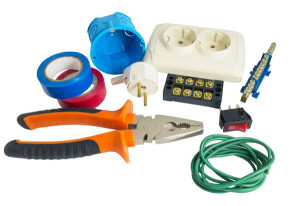 We offer an electrical maintenance program to help keep your electrical equipment in good working order all year round. Why is this so important? Seasonal maintenance is crucial, so be sure to contact your local electricians to get you scheduled in. We hold each and every electrician on our team to the highest standards in order to ensure the satisfaction of all of our customers. We pride ourselves on providing the best customer service in the area by responding with highly skilled and trained professionals. We operate in Granbury and neighboring areas, so you know you will be able to get a local electrician to your door no matter where you are located in the neighborhood.